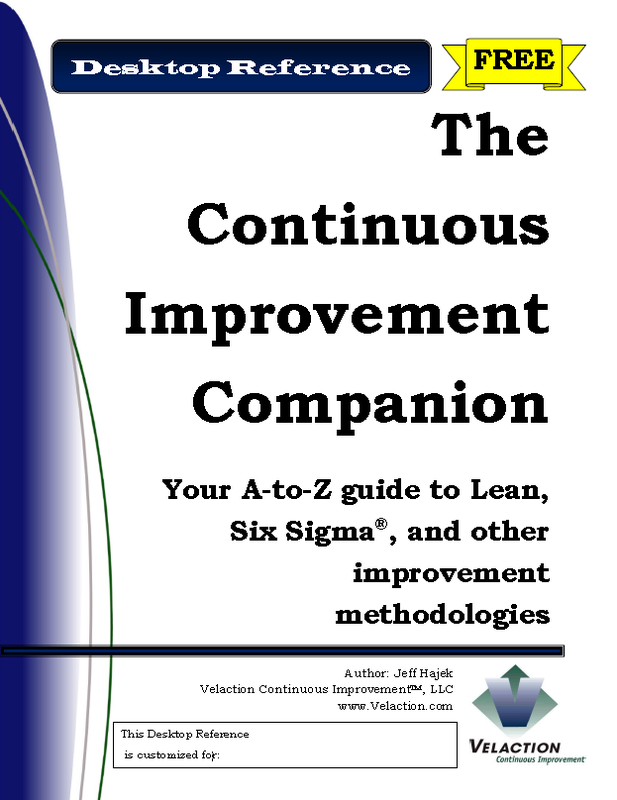 I recently came across an excellent, and free, resource anyone interested in lean or six sigma will definitely want to check out. 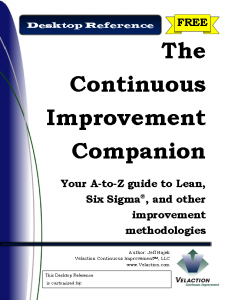 The resource is called The Continuous Improvement Companion. It was written by Jeff Hajek, author of the book Whaddaya Mean I Gotta Be Lean which, as an aside, I’ll be reviewing in the near future. Anyhow, this ebook is excellent and 100% free. Follow this link to instantly download it. Enjoy! Very nice book to add to our libraries. The book has explanations of terms used in CPI & LSS and best he adds warnings, tips for leaders and lessons learned in each discussion. A very easy to read book/reference guide.